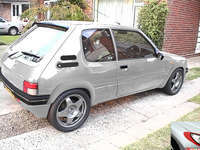 205 restored, Mi16'd and then supercharged - a complete tuning package! Created on 21 Dec 2006, last changed on 21 Dec 2006. This album contains 38 items. This album has been viewed 7842 times since 21 Dec 2006. 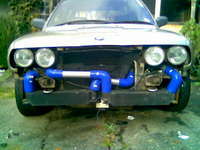 Not a 205, but an E30 BMW with not just one, but two turbochargers strapped to it! Created on 12 Nov 2006, last changed on 10 Aug 2007. This album contains 73 items. This album has been viewed 9858 times since 12 Nov 2006. 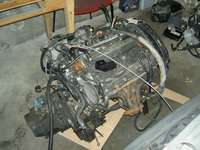 Highly developed XU10J4TE engine in a car built for Dunlop Track and Race Series! Created on 10 Nov 2006, last changed on 20 Oct 2007. This album contains 112 items. This album has been viewed 8366 times since 10 Nov 2006. Created on 23 Jul 2008, last changed on 25 Nov 2008. This album contains 81 items. This album has been viewed 2987 times since 23 Jul 2008. 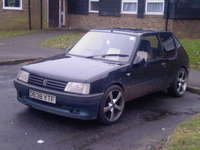 205 GTI with a (to be) tuned 406/XM turbo engine and Euro Rallye styling! Created on 06 Nov 2006, last changed on 09 Oct 2007. This album contains 61 items. This album has been viewed 3979 times since 06 Nov 2006. 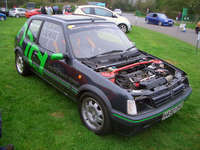 205 Mi16 Track Car developed over 3 years into a highly spec'd monster! Created on 06 Nov 2006, last changed on 18 Dec 2006. This album contains 621 items. This album has been viewed 7055 times since 06 Nov 2006. Built from bare shell, with a complex cage and all the "works" - including an Mi16 engine! 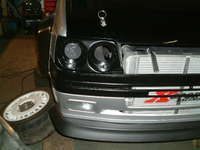 Created on 09 Jan 2007, last changed on 09 Jan 2007. This album contains 2 items. This album has been viewed 2636 times since 09 Jan 2007. 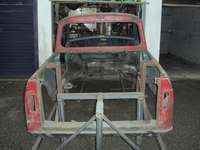 Custom Mini Pickup shell, 205 GTI suspension and an Mi16 engine driving the rear wheels! Created on 08 Jan 2007, last changed on 09 Jan 2007. This album contains 2 items. This album has been viewed 3234 times since 08 Jan 2007. 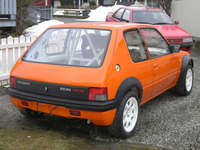 Fully uprated bright orange 205 with custom 2.3 liter Mi16 engine! Created on 01 Nov 2006, last changed on 26 Jul 2008. This album contains 518 items. This album has been viewed 7326 times since 02 Nov 2006. 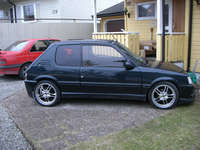 A nice 205 with 306 GTI-6 engine on Emerald M3D and Throttle Bodies! Created on 07 Nov 2006, last changed on 03 Sep 2010. This album contains 130 items. This album has been viewed 4275 times since 07 Nov 2006.